Do you want to learn life-saving skills for your dog? Participate in our University of Melbourne U-Vet Hospital research study and learn how to perform CPR on your dog for free. Dogs, like humans, may suffer from a standstill of their hearts, a condition known as cardiac arrest. The only treatment for cardiac arrest consists in compressing the animal’s chest and deliver mouth-to-snout breaths, a treatment called cardiopulmonary resuscitation (CPR). As CPR needs to be administered immediately, dog owners need to be ready in an emergency and know how to provide this potentially life-saving treatment to their dog. Luckily, veterinarians have developed a set of recommendations on how best to perform CPR on dogs, however, how can dog owners learn CPR in the most time- and cost-effective manner? This research study seeks to find the most effective delivery method for canine CPR training to dog owners. Led by emergency and critical care vet and senior lecturer Dr Manuel Boller, the study will be held at University of Melbourne’s U-Vet Hospital in Werribee and begins at the end of August 2018. This research study is for dog owners to participate. To be eligible for participation, please confirm you meet the following criteria. Over 18 years of age? An owner of a dog? You will be required to kneel next to a dog manikin (models used for medical simulation) and bend over to deliver chest compressions. Do not participate if you foresee that this may be difficult or painful. You will be asked to provide mouth-to-snout breaths to the manikin. You will use single use face shields for sanitary protection. Do not participate if you have an impaired immune system (for example, you need to take immunosuppressive medication). 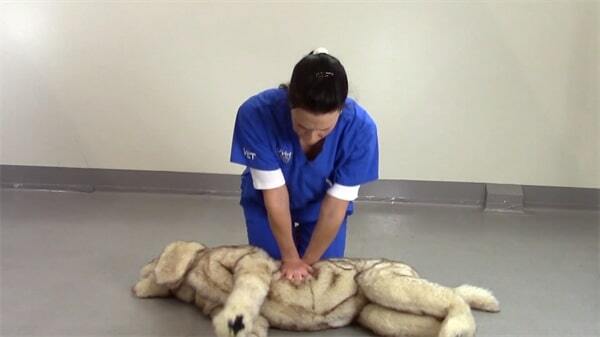 Never received previous CPR training in either humans or dogs? Able to commute to U-Vet Hospital located in Werribee on two occasions? Able to devote an initial 90 minute session and a follow up 15 minute session after 2 months? Available between the end of August and October? Please first ensure that you meet eligibility criteria above. Your preferred time of contact (if by phone). A member of our research team will be in touch to provide more information and to arrange for a suitable time.